Pictures of K-pop boy band EXO were released on Thursday, showing the boy band members backstage at their first-ever solo concert, posing with fellow boy band members. 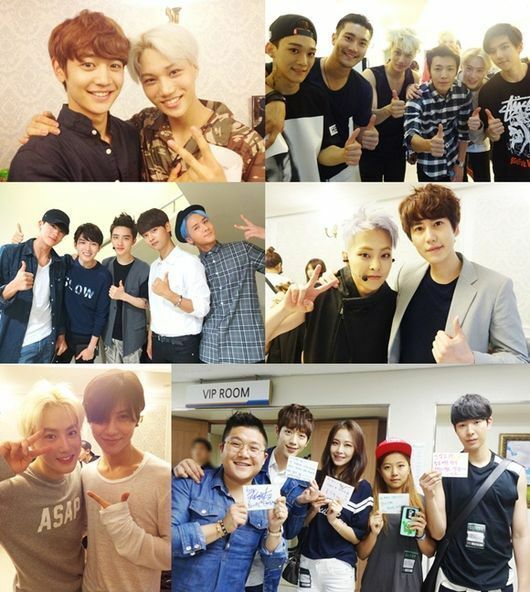 These photos, released by SM Entertainment, include EXO members as well as Minho and Taemin of SHINee; Kyuhyun, Siwon, Donghae and Ryeowook of Super Junior, and the members of VIXX. The cast of SBS-TV reality show “Roommate” also appeared on the pictures, underscoring the support for their fellow cast member Chanyeol of EXO-K. Starting May 23, EXO has hosted the three-day concert in Seoul, garnering a total of 42,000 fans from around the globe.